3-D Monster: Wanna Buy My Social Network? Well, it's getting hard to find dependable programmers that will work for the promise of future riches, the venture capitalists want my network for practically nothing, and the tech firms in India and California are taking too long to make up their minds! 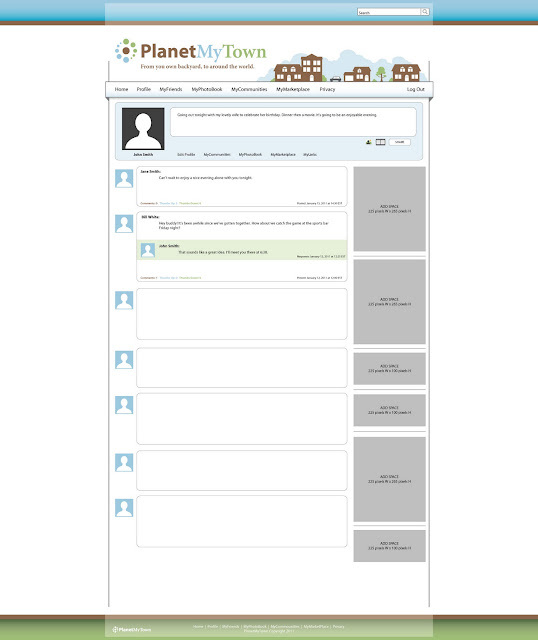 Being the out-of-the-box thinker that I am, I have decided to put Planet My Town on the auction block with an opening bid of $900,000 as well as a 10% stake in ownership. Not too bad for a concept I am sure is worth billions! If it sells, great - once it hits a worth of $1 billion dollars, I'll be worth $100 million, which will be plenty of scratch for a simple guy like myself. If it doesn't sell, I'll just keep developing it slowly on my own and be worth billions instead of millions. If any of you budding entreprenuers out there want a piece of the action, you can place your bid here!